When Adam took a radio production course his freshman year in college, it was only a thinly veiled attempt to get his music on the air. Little did he know that he would excel at such a rate that by the end of the year he would sign with the biggest talk radio station in the state. "To this day I don't know how 6 hours of talk radio a a night at 19, didn't scare the hell out of me, but it didn't. It absolutely envigorated me. I found a productive streak in me that I have since to match. I filled every second with as much imagination, creativity, comedy and music I could conjure up and had a ball doing it." 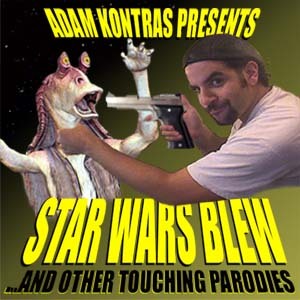 Adam took the graveyard shift and turned it into "The Late Show", what local papers called "the most original, inventive work a Columbus personality has produced in years". Within a year he was moved to a prime-time slot and brought on as a full-time producer. 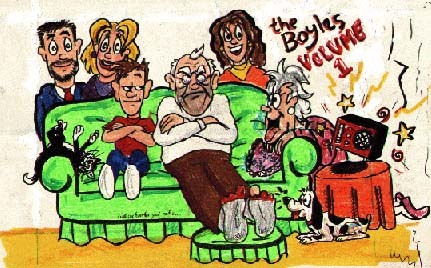 He released 2 CDs of the songs and skits from the show and 5 cassettes of the infamous "Cartoon for your radio" - The Boyles. His production skills soon caught the ear of FM station CD101, and they hired him as Production Director and Late Show host. "The studios were located in 'The Brewery District' of Columbus and my producer and I weren't at a loss for willing participants in my on-air schemes. To this day, I believe what's found in the 'Listener Bits' CDs is unparallelled by any radio show. It was a great year that's only interruption was the inception of 4TVs. I found it a more encompassing and fulfilling canvas than radio." By mid 1999, Adam was performing 4TVs and its creation and performances took his heart out of "The Late Show". So ended a 4 year career as a radio personality and months later Adam left Columbus to further 4TVs on a national level in LA. 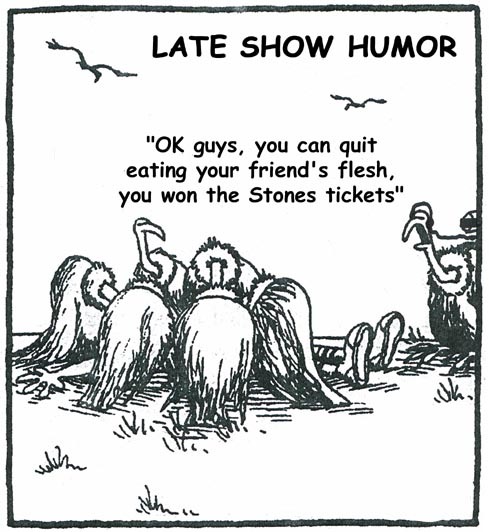 Luckily there's always the CDs and cassettes to keep "The Late Show" alive.